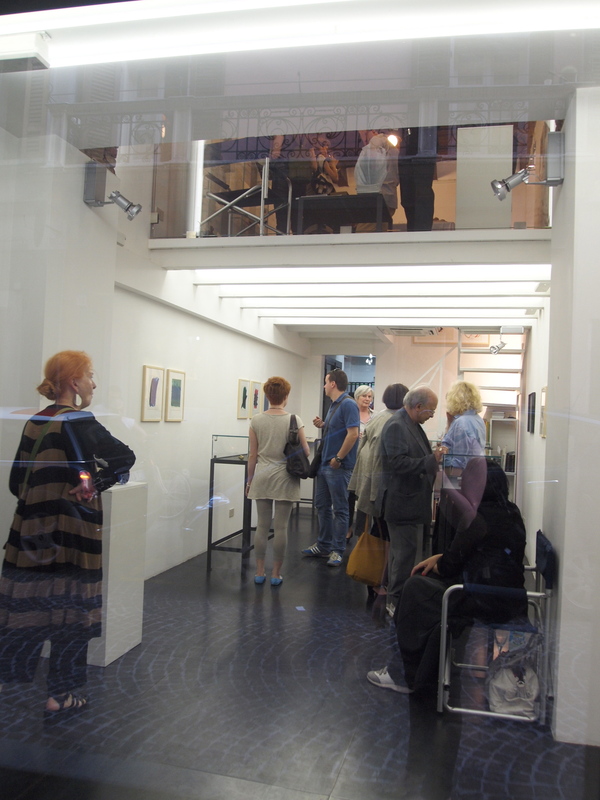 Saturday the 9th of June marked the inauguration of 4 Padovani e un Torinese, presented by Maurer Zilioli Contemporary Arts. 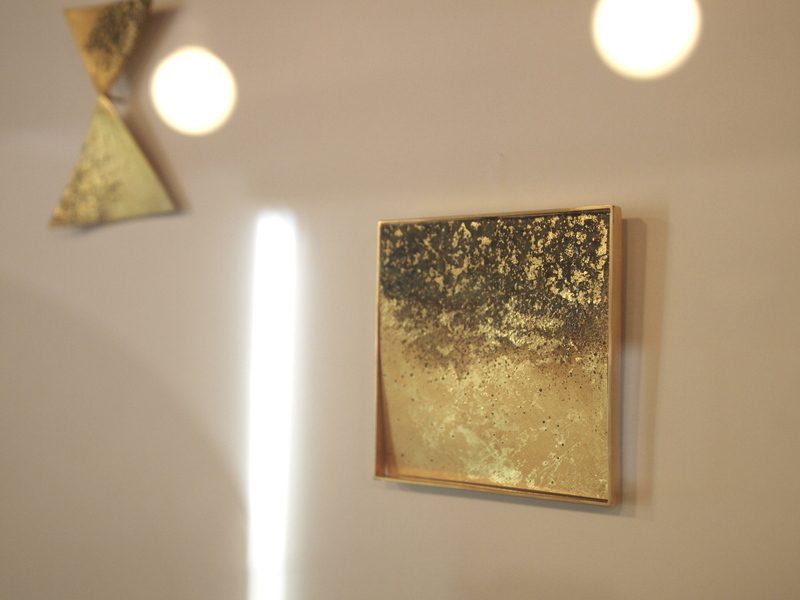 A humble space in the center of the small and beautiful northern Italian town of Brescia, the gallery is a rare dose of contemporary culture, currently housing what I’ll call today’s traditional in Italian contemporary jewelry and sculpture. The Padovan representatives were Giampaolo Babetto, Graziano Visintin, Renzo Pasquale and Annamaria Zanella, Bruno Martinazzi from Torino; the five artisti-orafi are legends in the field for those that don’t know. 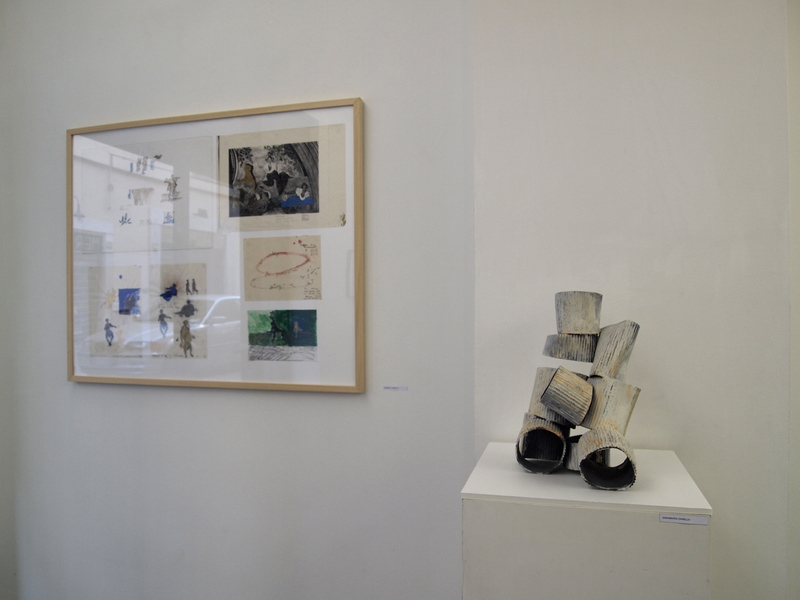 Some of the artists from Padova showcased new works with recognizable or iconic pieces also mixed throughout the gallery. 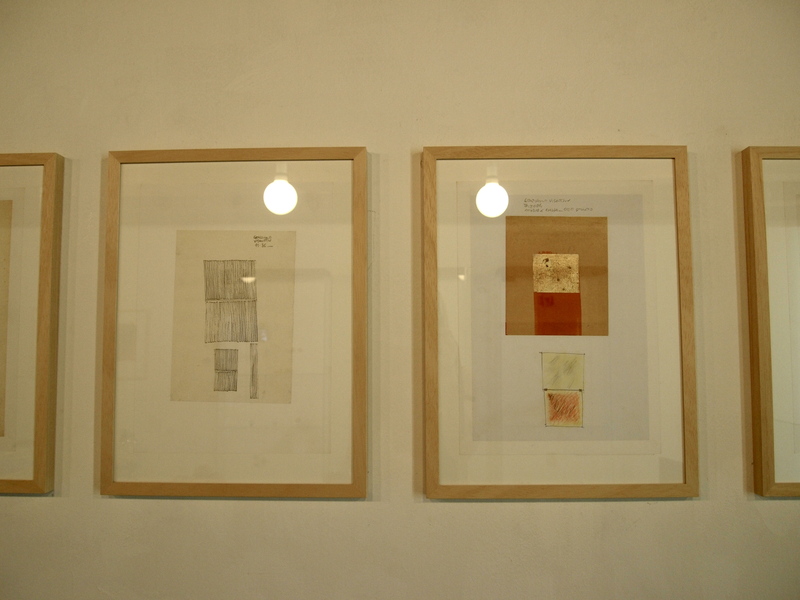 Framed drawings from the research stages of their processes were also hung, acting as their own strong and singular works while simultaneously welcoming the viewer into each artistic process. For me this addition was quite the bonus and pulled the show together by adding substance to the singularity of each sculptural piece. 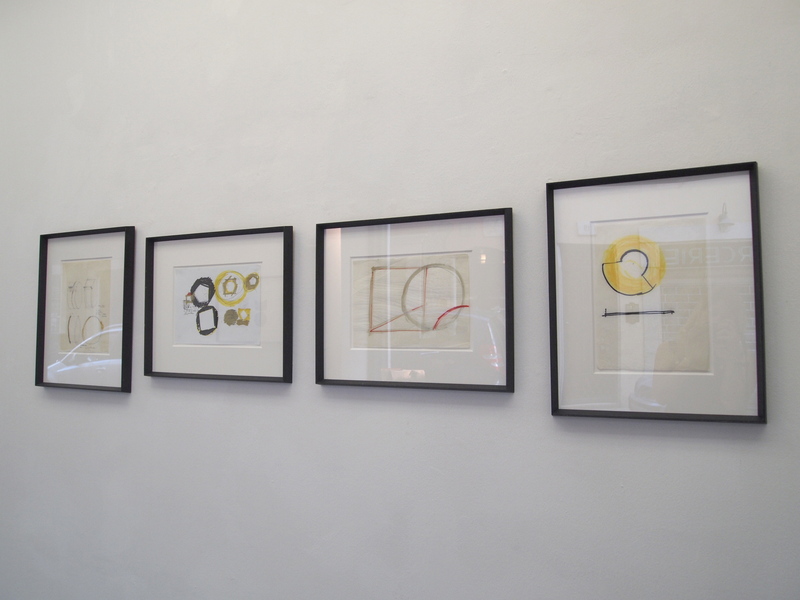 Perhaps it could be even more substantial to outsider perspectives; the drawings act as indicators to thought, research and thorough investigation that suggest the practice of each maker to be similar (if not the same) to methodic visual artists outside of the jewelry sphere. 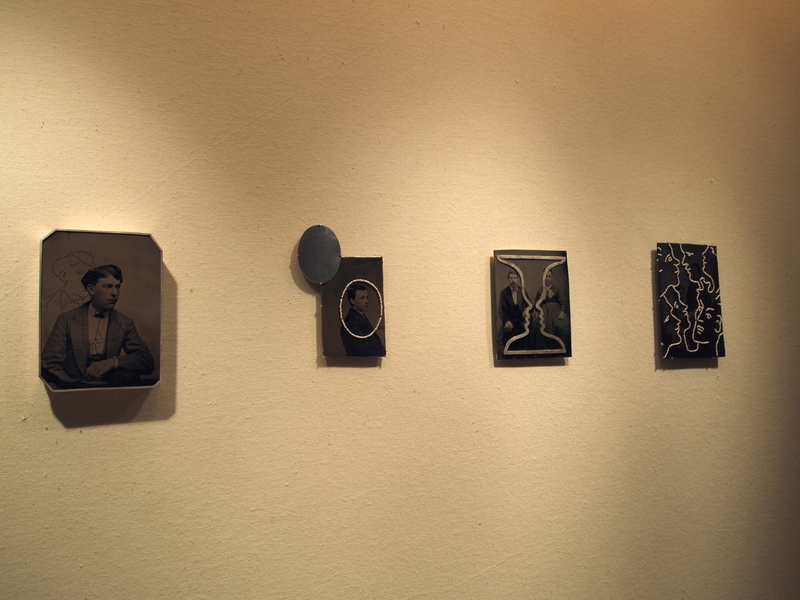 Pieces of jewelry and drawings were not the only works presented. Works by Zanella and Pasquale took shape in much larger forms, a departure from the formal scale limitations of jewelry objects. 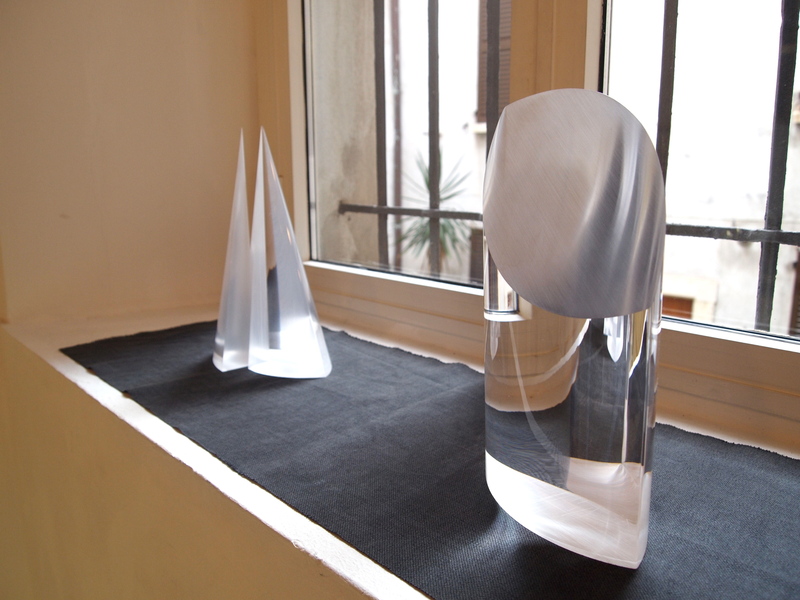 Pasquale’s clear acrylic sculptures can be seen as a natural shift, having been known to integrate the material into his previous works in jewelry. 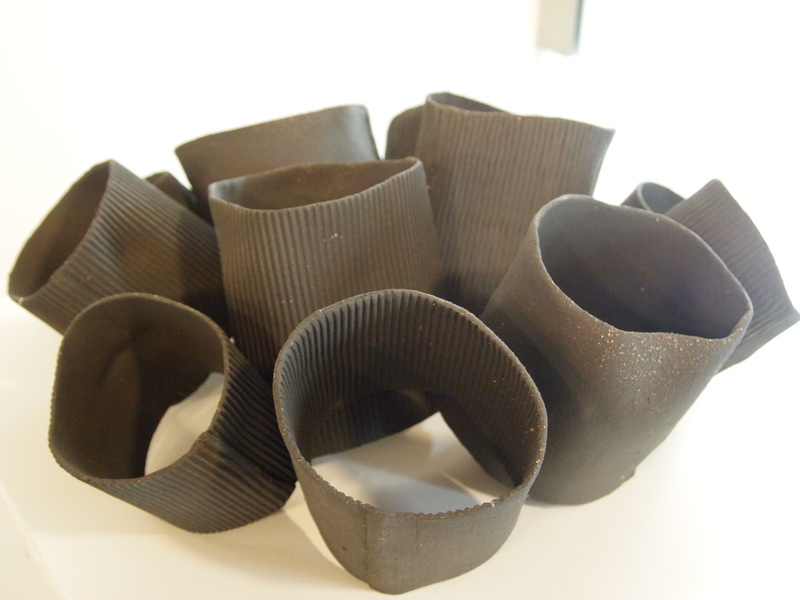 Zanella implements a material shift as well as a scale shift in her larger work on display. This literal transition (past brooches take on the exact same formal qualities, Cuore Bionico, 1995) begs the question of whether there is a true difference between what is known as sculpture and certain works in contemporary jewelry like what is seen in this exhibition. 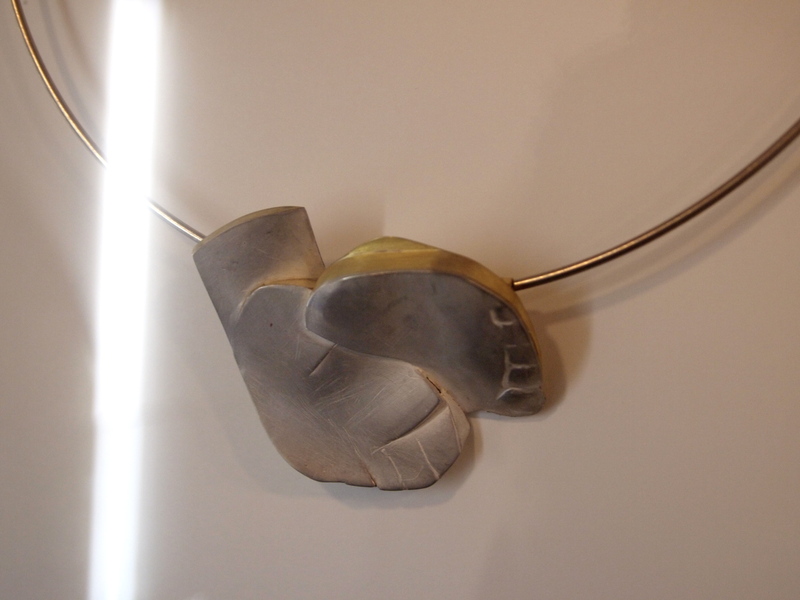 The Italian goldsmith/artists are particularly known for their sculptural ties through their tendencies and devotion to geometric abstraction and minimal languages. And although this particular exhibition is at first glance heavily tied to the jewelry world, it doesn’t mean that it’s an entirely complete assessment. 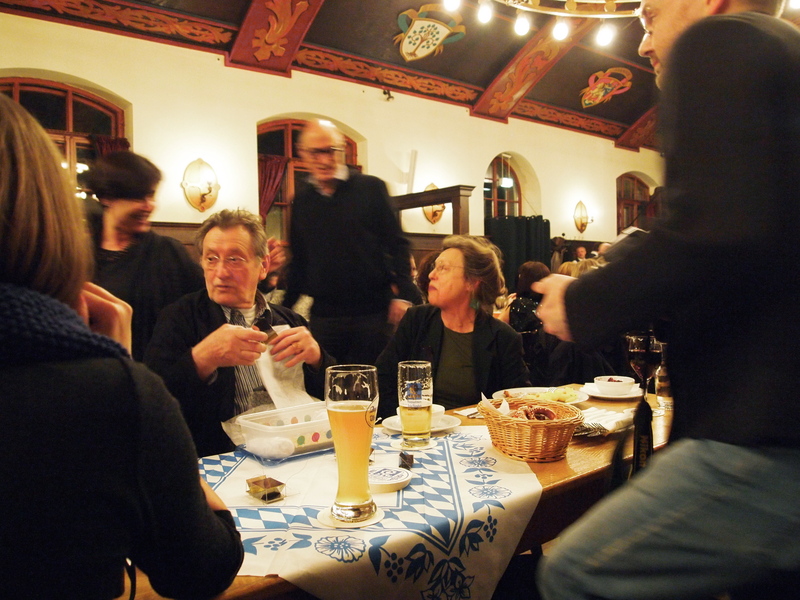 Maurer Zilioli after all, is a contemporary art gallery (and also a cultural organization), a bridge builder of sorts, promoting the work in the jewelry field in hopes to give it a higher consideration in the art world. Has it worked? 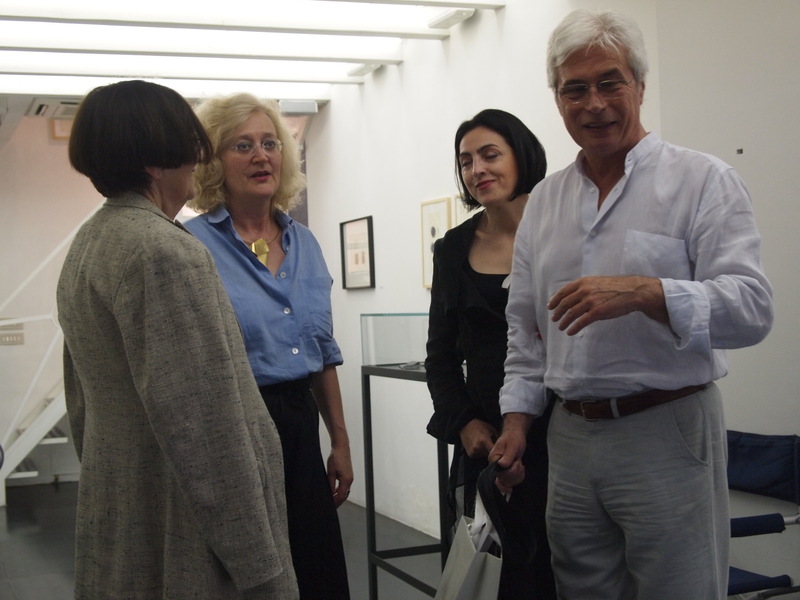 While in Brescia I was warmly greeted by Ellen Maurer and Claudio Zilioli and was able to chat with them about the liminal role their gallery plays between the jewelry and fine art world. 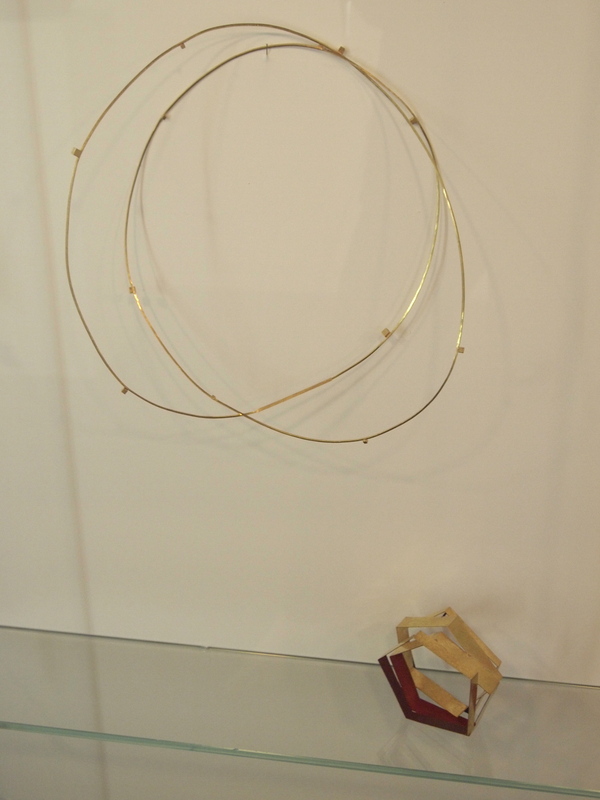 Although there are no hierarchical distinctions between form and medium in their minds, the majority of Zilioli’s exhibitions are not necessarily related to contemporary works in jewelry. 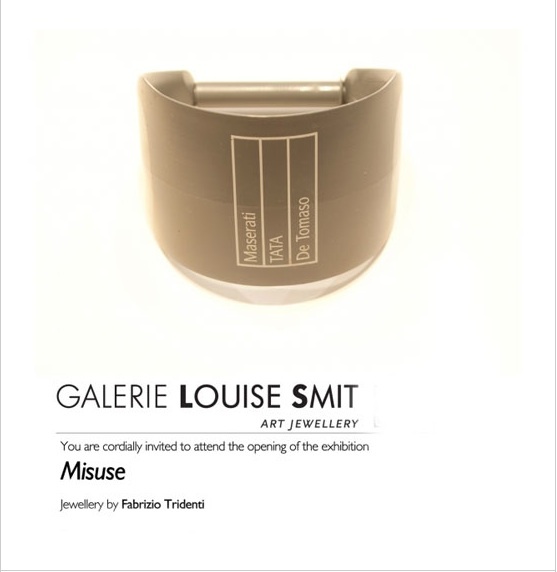 In fact, few of their past exhibitions have actually combined jewelry to visual arts directly, noting Piccole Sculture (with Peter Skubic, Franz Hitzler, Valeriano Trubbiani, Therese Hilbert, Bruny Sartori, and Bruno Martinazzi), and Gente di Mare (David Bielander and Michelle Taylor) as two examples within the last year. 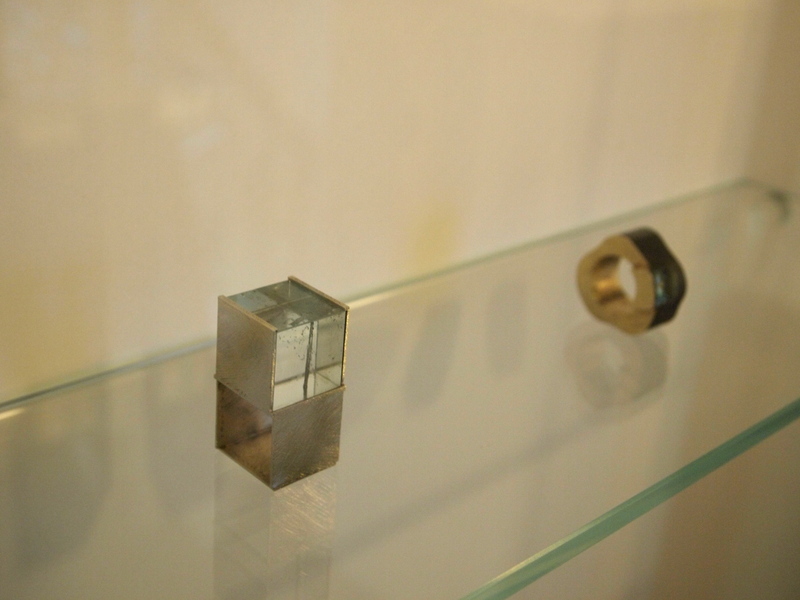 A more impressive example of integration can be seen in one of their Schmuck exhibitions in Munich last March with artists Elisabeth Altenburg (Füll RAUM) and Wolfgang Rahs (Projektor Oben Often). 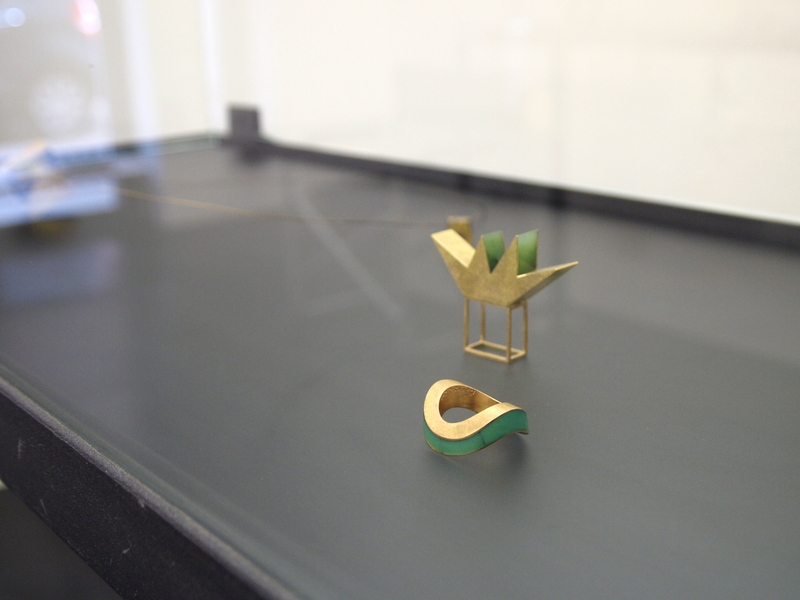 When they do have shows exclusively devoted to jewelry, Maurer stated that there is wind of disinclination blowing from certain contemporary art audiences. In their minds, jewelry is separate and is not art, maybe even less than or on rare occasions equal to it. It’s easy to see that all the works (with the exception of the bigger sculpture pieces) were under glass. 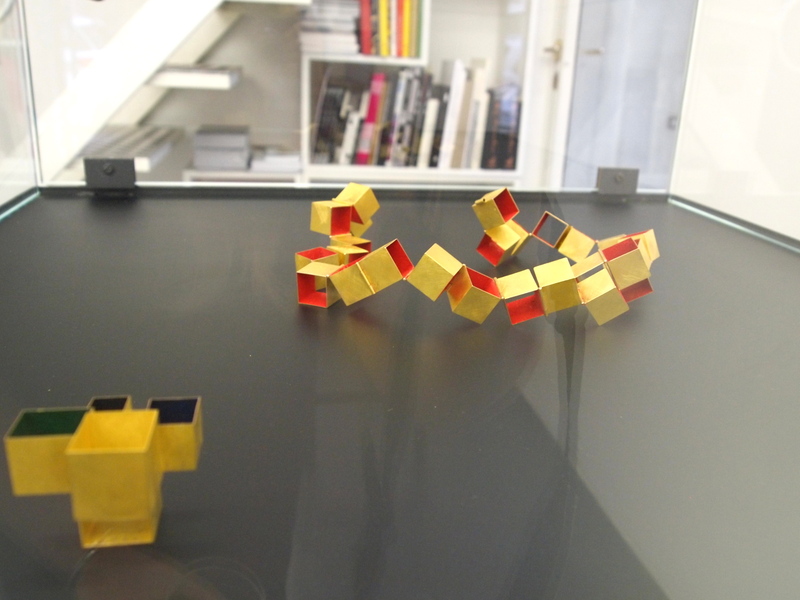 Although still well within the realm of “our kind of jewelry” (or contemporary art jewelry… you pick the name), the work coming from the Padovani (and from Martinazzi) is still largely and willingly bound to a material tradition so precious that the pieces really can’t be anywhere other then under the safey of a vitrine. 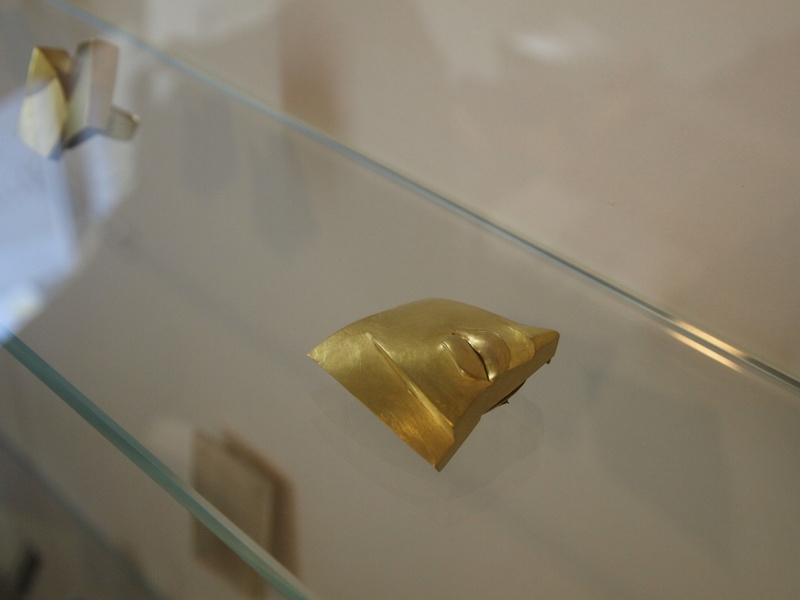 Most the time the pieces are, indeed, made of gold. 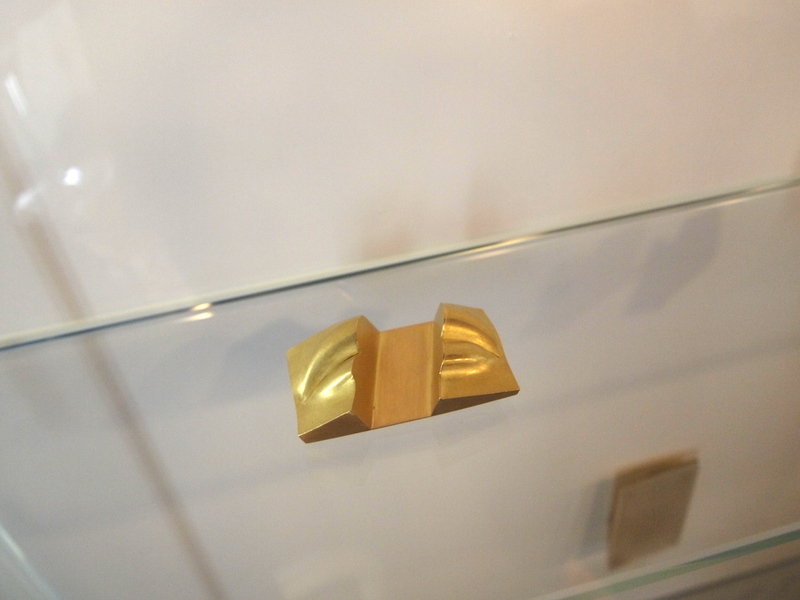 Beyond this material fundamental there also lies the considerations for which the pieces are successful singular works, which at the end of the day is slightly more independent of a necessity for the piece to be seen on the body than other categories of contemporary jewelry. In this case, with this type of sculptural work, is the body factor just an encouraged bonus? 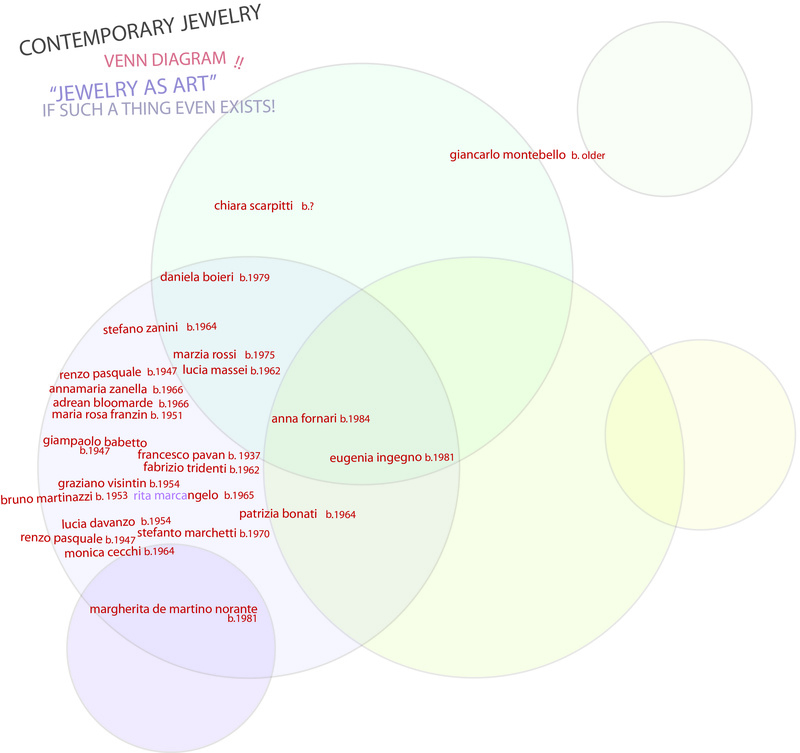 To better illustrate what I mean, here is a version of the Jewelry as Art Venn Diagram posted under the COSMOLOGY section at the very top of the page where I have isolated the Italian artists in order to see how they approach their work. 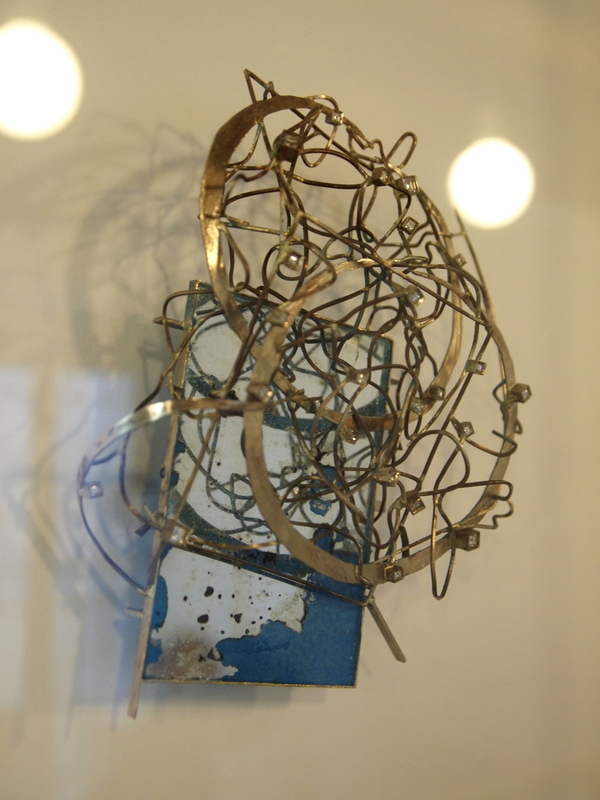 Almost all of the artists are categorized in the Jewelry as Sculptural Object sphere (click on cosmology to see the full context). 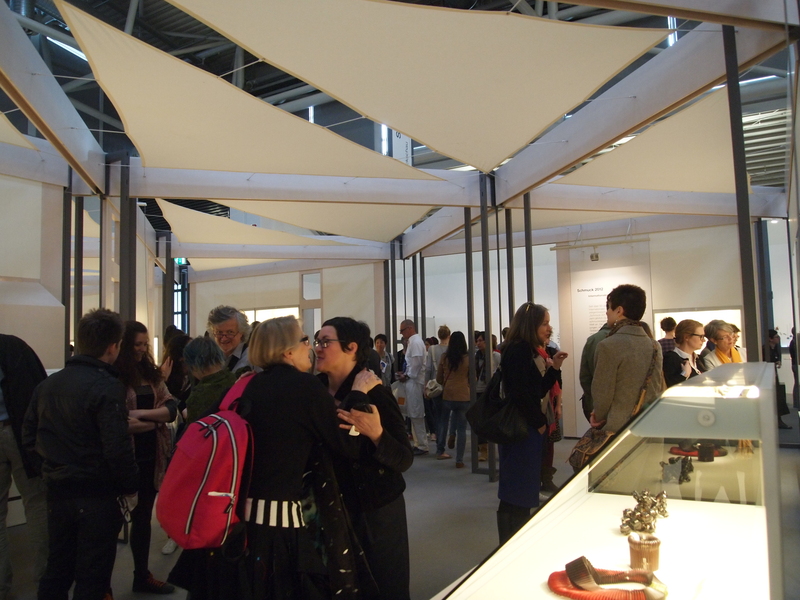 At the opening Ellen could be seen wearing a very large and very gold necklace by Bruno Martinazzi. 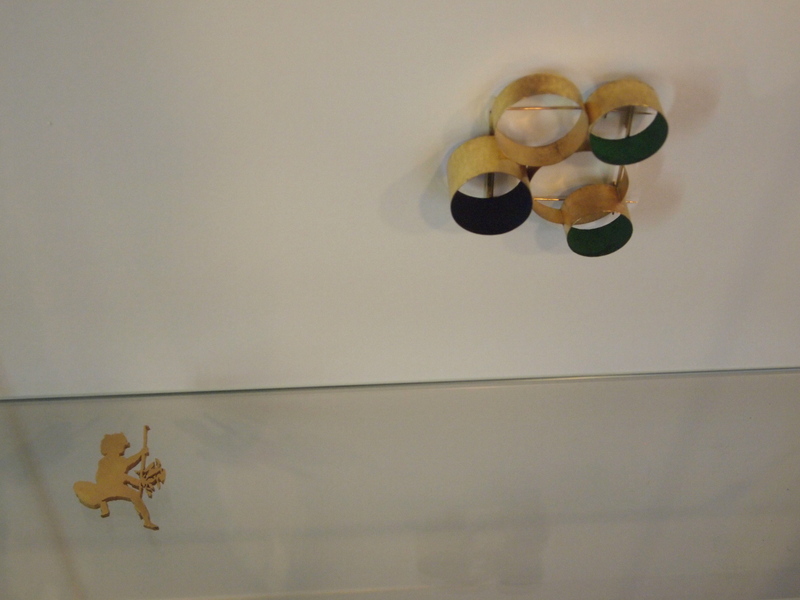 At Maurer Zilioli, jewelry ≥ visual art. cosa stanno facendo gli Italiani? 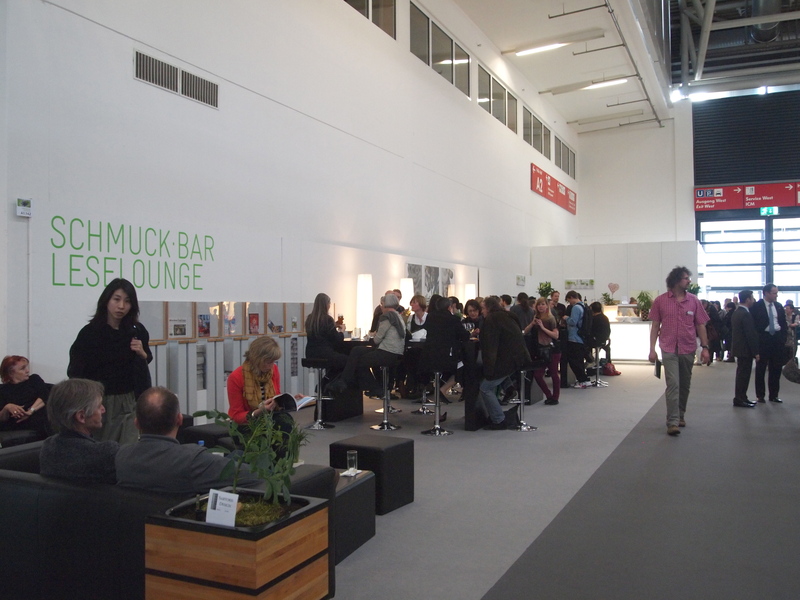 There was also a big Italian presence at Schmuck; the young and fabulous Margherita de Martino Norante exhibited at the messe in Munich along side two of the Italian greats, Graziano Visintin, and Francesco Pavan! 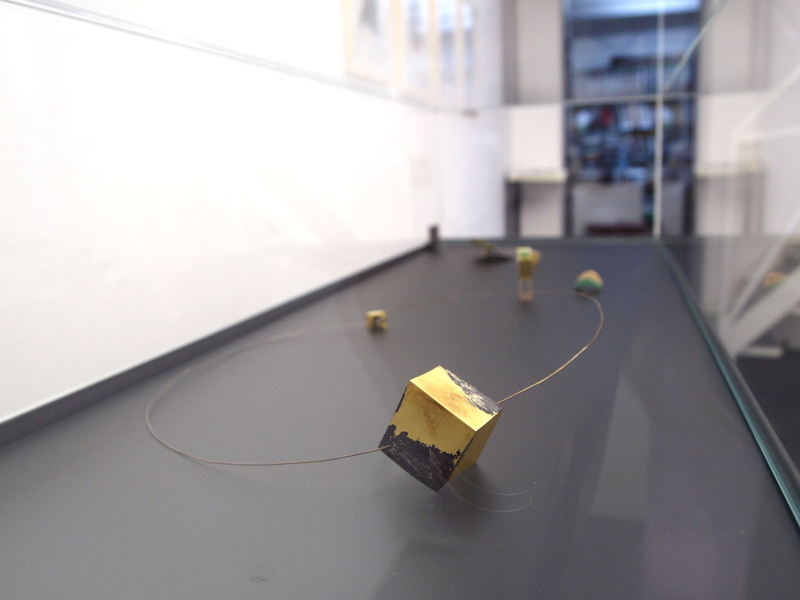 Margherita also exhibited at the show Suspended during Schmuck 2012 at Studio Gabi Green. 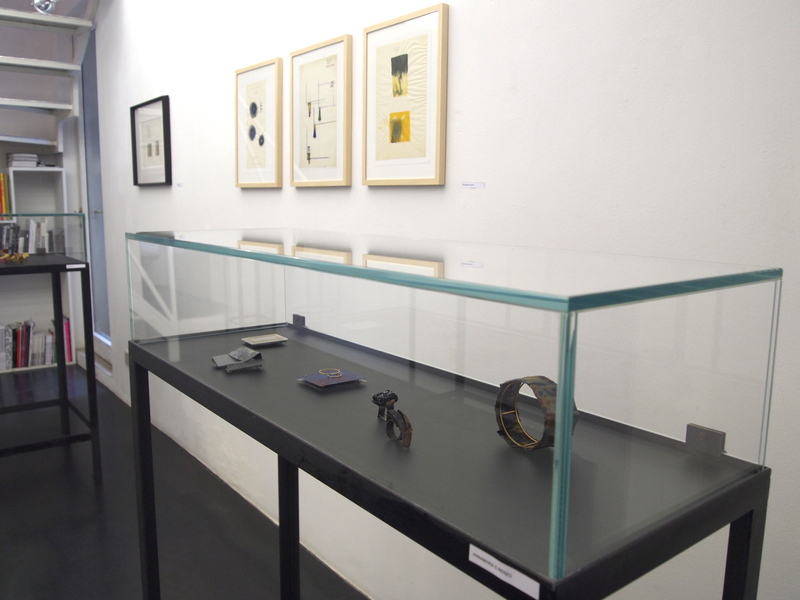 Marchetti, Visintin, Pavan and Zanella were also represented in Die Renaissance des Emaillierens at Galerie Handwerk, also during Schmuck week.